Nagpur: In a latest move, Nagpur University’s Academic Council officially approved disaffiliation of 98 colleges, despite stiff opposition from the members, owing allegiance to private and unaided colleges. The decision to disaffiliate these erring colleges operating, sans teachers and infrastructure, was already taken by vice chancellor SP Kane using his special powers under Section 12(7) of the ‘Maharashtra Public Universities Act, 2016’. Many of these 98 colleges are part of ‘250 colleges’ that were banned from admitting the students by NU in 2013, which led to a huge controversy, and culminated only after ouster of then VC Vilas Sapkal. The proposals in this regard was kept for official confirmation in the last week’s meeting of the council, which was just a formality. A majority of members, particularly those working with private colleges, raised the issue while accusing NU administration of meeting out injustice on the non-granted colleges. They also pointed out about four departments of NU operating without a single teacher and even conducted colleges like Laxminarayan Institute of Technology (LIT) and Barrister Wankhede BEd, operating at half of the sanctioned strength of teachers. The VC clarified that the proposals to disaffiliate these colleges were tabled for just their confirmation, which was a mere formality, as decision was already been taken by him. “We told them that there is no point in discussing the issue again and wasting precious time of the house. We also clarified to them that these 98 colleges were granted enough time to make amends. But despite numerous reminders, they failed to respond,” Kane told to local newspaper. After banning these 98, NU again added many colleges and courses to its ‘blacklist’, thus taking the total tally of 248. They included many from renowned groups. 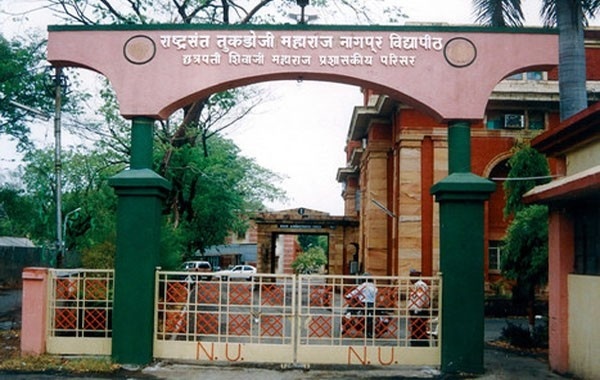 NU had identified about 109 colleges last year, which didn’t invited its Local Enquiry Committees (LECs) for inspection and granting affiliation. Of them, hardly 11 responded and sought time from NU to appoint regular teachers. NU surprisingly excluded 63 BEd and BPEd colleges, operating same deficiencies of teachers and facilities, despite clear directives from Nagpur Bench of Bombay High Court to shut such institutions. The VC stated that due to NU’s crackdown, about 60-70 colleges out of 248 had responded and expressed willingness to appoint regular teachers, which was mandatory as per UGC norms. Though these 98 colleges now have no chance to make amends, others were granted time till September 3, to appoint at least one regular teacher, if they want NU to lift admissions ban.